Almost all of us can recall a time when we had no choice but to function on little or no sleep. Perhaps the sleep deprivation was the result of an endless cram session in college or the frenzied wails of a colicky infant. Regardless of the cause, the result of such sleeplessness is almost always the same. Sluggishness, irritability, sickness and a noticeable lack of productivity likely characterized the following several days. Sadly, far too many of us have made these symptoms of poor sleep part of our daily lives, simply because we retire each night on a mattress that is not suited to our own unique needs. By learning a bit about what sleep is and the role it plays in overall wellness, you can equip yourself to choose a mattress that will ensure night after night of restful sleep and days marked by renewed energy and vigor. The purpose of sleep is quite fundamental, in that it serves to help the body regenerate and recover after each day’s stresses and strains. Appropriate amounts of sleep can help the body ward off illness, keep emotions in equilibrium and boost cognitive abilities in a noticeable fashion. Muscle growth, tissue repair and protein synthesis are all key bodily functions dependent on proper sleep each night. Deep sleep is essential if we are to perform at an optimal level on a daily basis and achieve the highest level of health possible. The physical effects of sleep deprivation can be extremely serious, something not all of us sufficiently appreciate. Research has indicated that extended bouts of sleep loss can cause diabetes, high blood pressure, cardiovascular disease and even obesity. Lack of sleep can cause the body to enter a constant state of being stressed, something which can lead to poor decision making when it comes to matters of diet, exercise and general healthy living. The mental manifestations of sleep loss are equally profound, impacting mood, outlook, ambition and emotional responses to events. Focus can be severely hindered by exhaustion, making almost every type of task more difficult to complete. The result is often decreased performance on the job, at home and in all other realms of daily life. When it comes down to it, there really is no substitute for quality sleep, and all of us need to do everything within our power to assure that we get it. Why are we sleeping so poorly? These frustrating, yet correctable issues are responsible for more hours of lost sleep than anything else, but they need not persist for those in the know. 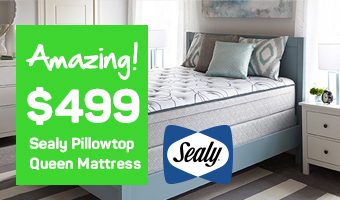 One of the lynchpins of a great night of sleep is a mattress able to provide the necessary support to the body while also limiting the transfer of motion created by a shifting sleep partner. To that end, modern mattress manufacturers have developed advanced coil systems designed to facilitate uninterrupted sleep even with the most restless of sleep mates nearby. It is also possible to find mattresses made with integrated temperature controls meant to maintain optimal sleeping conditions throughout the night. The key is to perform an honest assessment of what tends to wake you most while sleeping and find a mattress tailored to address those particular problems. Maintaining a consistent sleep-and-wake schedule, even on weekend days so that the body’s internal clock stays in rhythm. Developing a nighttime ritual designed to relax and disengage from the stresses of the day. Getting sufficient exercise, even if only light-to-moderate intensity. Remove electronic devices and other distractions from the bedroom. Maintaining an ambient room temperature of 60-67 degrees when sleeping. Eliminating excess noise and light in the sleep environment. Perform an honest evaluation of your mattress and pillows, making timely replacements when needed. 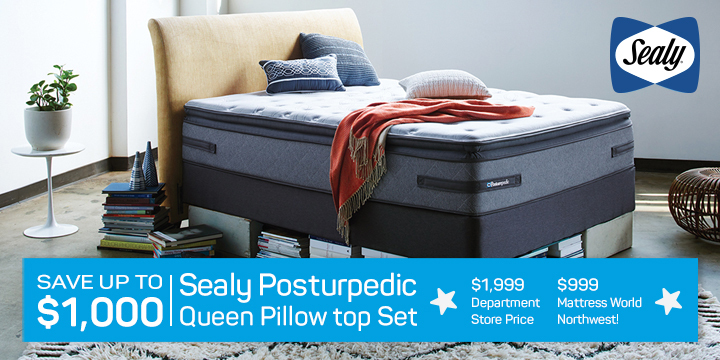 At Mattress World Northwest, we are committed to helping each and every customer determine the sleep surface best suited to their specific set of needs and considerations. Unfortunately, most shoppers know very little about the critical differences among mattress structures and materials, and that is why we believe strongly in the importance of consumer education. Our highly-trained staff members are ready and willing to help determine the proper mattress for you, your sleep partner and each member of your family. 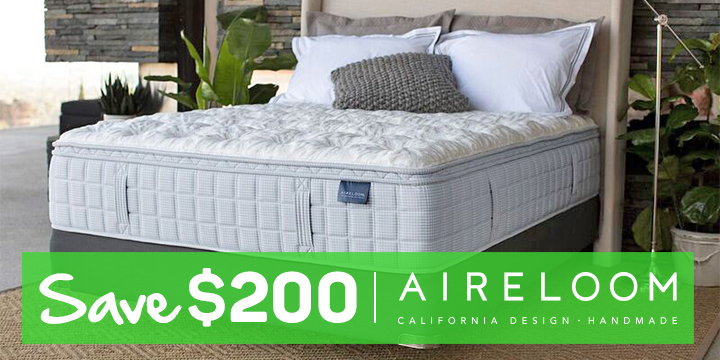 From memory foam to latex, crib mattresses to California Kings, we offer the finest selection anywhere in Oregon and invite you to explore our vast inventory. The differences in your health, disposition and overall productivity that will come from night after night of high quality sleep are certain to amaze you. With locations across the region, including stores in Gresham, Clackamas, South Salem and Beaverton, it is easier than ever to start getting the sleep you deserve.